This book brought me to my knees. 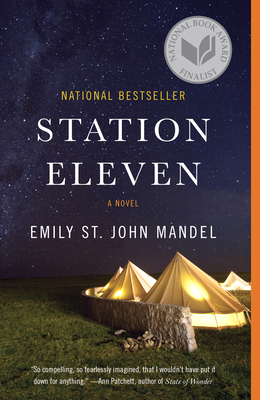 20 years after a pandemic reduces global civilization to conditions not seen since the Dark Ages, a traveling band of Shakespearean actors and musicians wander the Midwest, performing for the few small settlements in the territory. “Survival is insufficient”, written on the side of one of their wagons, is just enough to keep them moving. When a strange and dangerous prophet emerges, the fragile existence of the troupe is shattered. Rumors of a far off settlement guarding a “museum of civilization” beckon to them as a chance at safety. This novel is an elegy for our times. At the conclusion you will both love and ache for the world around us.